The other day I posted a blog about disruption and I used a screenshot from Visicalc with a link to Dan Bricklin's site. Dan, along with Bob Frankston, was the co-creator of VisiCalc, the first electronic spreadsheet. These days, Dan has focused on open source software and has now developed wikiCalc, an open source wiki-spreadsheet. It's written in Perl and available under the GPL through his company Software Garden. It's also being released under a commercial license by SocialText under the name SocialCalc. I don't know that wikiCalc is disruptive the way that VisiCalc was 25 years ago, but its a darn good piece of software. Perhaps the real significance of wikiCalc is that it can serve as a platform for web-based application-specific spreadsheets that can be integrated into other applications. For example, wikiCalc could integrate in with hosted CRM applications, reporting tools, ERP systems and so on. Why not use the full power of a spreadsheet whenever its needed? Lately I've been thinking about how open source is disrupting the software industry. In Silicon Valley, people tend to focus on a very narrow view of disruption focusing on prices or features. But I think disruption is more than that. Typically new entrant disrupts the market by doing something different than the incumbent vendor. PC's weren't just smaller, cheaper minicomputers. They served a different purpose. Many considered early microcomputers toys --and for the most part, they were right. But along came Visicalc (pictured above on an Apple ][ computer), and later Lotus 1-2-3 and suddenly they opened up new markets based on new applications. What makes something disruptive is making it more convenient, simpler, more flexible and sometimes, making it cheaper. Often, for a business to be disruptive it requires a different business model. Sometimes the business model itself is the source of the innovation. The idea of getting DVDs in the mail may not seem radical today; but if you're Blockbuster and you've built your entire revenue on thousands of retail stores, its hard to wrap your head around using a web site to send DVDs out by mail. Even more radical was the fact that NetFlix eliminated "late fees" which made up roughly $300 million of Blockbuster's revenues in 2005. Once you get locked into a business model you tend to hire people to perpetuate and fine tune that model. So the typical response from an incumbent is to ignore a disruptive force as long as possible. After all, the last thing in the world they want is to draw attention to something that could jeopardize their core business. 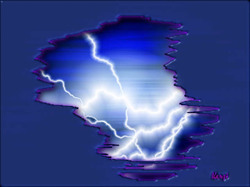 But at some point, they can't ignore it any longer and so they try to craft some kind of hybrid disruption strategy. Going back to the PC example, Digital Equipment's response was the DEC Rainbow 100, that was "even better" than the IBM PC since it ran MS-DOS and CP/M and it was a DEC VT100 terminal also. But as it turned out, neither DEC's existing customers nor the new purchasers of PC's were looking for a solution that combined the old and the new. Instead it was companies like Compaq and Dell that thrived by meeting the needs of a new market. They could focus on the needs of new customers without worrying about protecting any legacy business. What other examples are there of disruptive technologies or business models? What makes them disruptive? Is open source disruptive? What are the pains in buying and using closed source software that should be changed? You can post comments here or send email to disruption (at) mysql.com. O'Reilly's Oscon 2007 call for papers will be closing February 5. This is the last chance to submit talks. Hopefully there will be lots of good technical sessions on the LAMP stack, Web 2.0 and MySQL. If you've never been to Oscon, this is a great chance to take part in what is arguably the best open source conference on the planet. Hey, why be a spectator when you can be an active participant? 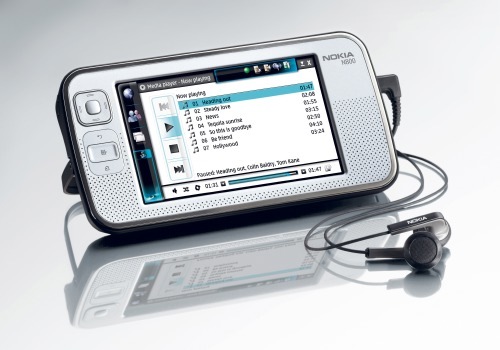 At CES, Nokia announced the latest update to their Internet Tablet, known as the N800. While Apple's iPhone got a lot of the buzz, the N800 is available now for under $400 and even cheaper for open source developers. While it's not a phone, it has a beautiful (and larger) screen and is much more useful than Microsoft's overweight UMPC. The N800 follows on the heels of the N770 which was targeted primarily to developers rather than end users. Now Nokia is getting even more savvy by offering a limited supply of 500 N800s for 100 EUR to qualified open source developers. (To be clear, this is 100 Euros each, not all 500 units for 100 Euros!) This is a good move for Nokia to help build out the applications for the N800. It includes the basics already, such as the Opera browser, email client, a no-frills MP3 player, etc. However, I think these applications are still pretty basic and there is plenty of opportunity for folks to create much more powerful or customized apps for the N800. In fact, I would say the one thing that keeps the N800 a niche product right now is that it doesn't have a killer app that makes it a must-buy device. That could certainly change as people start to take advantage of it's wifi capability to do VOIP based communications, Skype or some other new application. All of the source code for the N800 is available under open source license at Maemo.org. There's also a decent SDK, documentation, APIs, various hosted projects, applications and blogs. And there appears to be a growing community of Nokia-toting internet addicts who are out to build new apps for the N800. There are links to a couple of reviews below. I'll follow up with my own hands-on report in the coming weeks. Meanwhile, if you're at all curious in building apps for this platform, I encourage you to get one and check it out. The Wall Street Journal and the San Francisco Chronicle have both written about how high tech companies in Silicon Valley are being much more frugal with investors' money than during the internet boom of the late 1990s. Not surprisingly, just about every startup I know is using open source, whether it's well known companies like Digg, FaceBook, Linden Lab, or newer entrants like YouSendit, Soonr, YouRock or literally hundreds of others. Open Source works great, it runs fast on low-cost Intel and AMD hardware and developers are excited by it. "In the 10 years between Excite and JotSpot, hardware has literally become 100X cheaper. It’s two factors – Moore’s law and the rise of Linux as an operating system designed to run on generic hardware. Back in the Excite days, we had to buy proprietary Sun hardware and Sun hard drive arrays. Believe me, none of it was cheap. Today, we buy generic Intel boxes provided by one of a million different suppliers. "Back in 1993 we had to buy and continue to pay for maintenance on everything we needed just to build our service -- operating systems, compilers, web servers, application servers, databases... Compare that to today. Free, open source infrastructure is the norm. Get it anytime and anywhere. At JotSpot, and startups everywhere you see Linux, Tomcat, Apache, MySQL, etc. No license cost, no maintenance." "Aiding today's trend of start-up parsimony are factors such as cheaper technology. While start-ups once spent millions of dollars on expensive computers and software, many new companies can now instead exploit inexpensive server systems, open-source programs (modifiable software that comes in free or inexpensive versions) or Web-based services to build and launch their products. Why spend money on expensive proprietary software when open source is better in most cases? It's a good question and one that I think will be increasingly on the radar for executives and board members, not only in startups but in large companies. If open source is good enough for the giants like Google, Yahoo, Sabre, Nokia, Alcatel then why not elsewhere? There's a thought provoking article by open source guru Bernard Golden over at the CIO blog web site called "Why CIOs Don't Care About Open Source." The title alone is enough to give me pause; and sometimes that's the key to a good article. Get people to stop and think about an issue and start a dialog. Golden identifies some of the reasons why large companies might not see open source is strategic: it's low dollar amount, it's not "analyst approved" or the IT department is busy maintaining and optimizing the last generation of software rather than looking forward to the next. While these are no doubt valid observations of many overworked CIOs, I think likely is not the case among more innovative companies. We've sold a lot of MySQL to companies where the CIOs have established an open source strategy and are building out an open source stack. In many cases, this was built from bottoms up initiatives by developers themselves who saw that open source enabled them to reduce licensing costs and apply it to headcount or newer projects. In other companies, it's part of a conscious strategic decision to use as much open source software as possible since it gives them better scalability and avoids platform lock-in. The net result is that MySQL customers include companies like Cardinal Health, CNet, Garmin International, H&M, LaFarge, Sabre, Smurfit-Stone, TicketMaster, McGraw-Hill, McClatchy Interactive, NBC, Reuters, Alcatel, Cisco, Juniper Networks, Nokia, Nortel, Sprint, Vodafone, SourceFire, NetQOS, Sage Group, TellMe Networks, WebTrends and hundreds of others. As with any new technology there will be companies that adopt to the technology early and some that come to the party late. The economics of open source are staggering though and the sooner companies adopt the technology the faster they reap the rewards. Our customers have reported saving millions of dollars in license fees. And they are only just beginning to expand their deployments. Golden is a smart cookie and I think he understands better than most people how open source is disrupting the traditional software license model. Golden refers to proprietary software vendors as suffering from the "emperor's new clothes" and being in denial that "no one wants to buy their products." While that's perhaps a bit of poetic license, Golden makes a compelling argument that companies like Oracle have had anemic license growth. "In a time of multi-year good economic growth, with no evidence that buyers are unwilling to spend money, it’s time to face reality: these [proprietary] vendors aren’t garnering IT budget dollars. "I believe 2007 will be the year that mainstream IT organizations finally recognize that open source isn’t a fad or a harmless dalliance, but is front and center a strategic issue that must be addressed." Golden's got a good perspective on this. I think we will see more CIOs recognize that they can gain more control over their IT spending by looking ahead to open source technology than trying to optimize yesteryear's systems. With the start of the new year there are around 20 new job openings at MySQL. There are worldwide positions available for web developers, software developers, support engineers, consultants, trainers, QA engineers and more. Take a look at www.mysql.com/jobs for more information. Aras is the latest company to announce that they are going open source in an attempt to lower their costs and increase their appeal to corporate customers. The interesting twist is that Aras is not some obscure project dreamed up by a bunch of Linux heads; it's corporate software for product life cycle management, project collaboration, workflows, change management and the like. Aras' customers include folks like Rolls Royce, Tellabs, Ingersoll-Rand and L3 Communications. In other words, serious corporate users. Interestingly enough Aras' suite was all built using the Microsoft's SOA platform, which, as readers may know, is not open source. Or perhaps I should say is not yet open source. I believe that open source and hosted applications (software as a service) will become much more common in the next five and the dominant form for corporate software within ten years. The economics of it are just too compelling, both for customers and for vendors. Oracle made a pretty big splash a while back when they announced their intentions to provide support for Red Hat Linux through their own forked version called Oracle Linux. While Red Hat's stock took a short term hit at that time, since then, it seems like Oracle's impact has been a lot less than many people imagined. By end of year, Oracle had 9,000 downloads. While that's a decent number, it's pretty modest compared to most popular open source projects. Red Hat gets about 12,500 downloads per day for RHEL and Fedora, and MySQL gets about 50,000 per day. Interestingly enough, when Oracle and Red Hat announced their most recent earnings, Oracle's stock went down and Red Hat's went up. 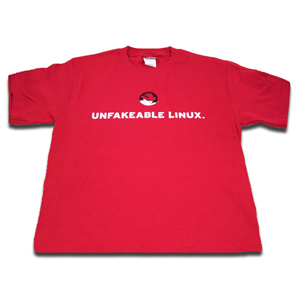 I don't know what Linux means to these companies core business, but Wall Street is giving Red Hat a vote of confidence that they are not giving to Oracle.